Mac was our guide for two days, and it was the best move that we ever made. Thanks to Mac we had such an insight into the history and culture of Thailand. He is passionate and enthusiastic about his job and takes great pride in his work. He is also super caring and polite, making sure that his clients experience local customs and cuisine. His help with transport and ticketing was super, we could not have dome this without him. He can be highly recommended, and a huge thank you from us both. I can’t say enough good things about my tour with Woody on Christmas Day 2018! Woody is one of the best guides I have had on trips abroad, he is very polite and personable. I found it interesting to chat with him for the day and he had very good insights on the culture and is very familiar with the area. He made many great suggestions of things that I should not miss for the remainder of the week and all were spot on. The full day/night tour was the best thing that I did during my visit to Chiang Mai and feel that I would have missed out on allot of great things to see and do without talking to him for the day. I will certainly be booking him again on my next visit. Thanks again for such a wonderful day! i was interested in seeing a museum and chinatown… Ya and Mac were very informative and offered me different options for a day trip…Mac picked me up at my hotel on time. he was attentive, knew to answer all questions i had. his english was good. i enjoyed the tour a lot and can recommend Mac :-).thank you for a wonderful day! This was my first time in Asia, so I decided to get a tour guide because I wasn’t sure what to expect. I’m happy I did! Not only did we do touristy things, but Mac completely submerged me into his culture. He showed me where the locals hang out, all the hotspots. Mac is completely knowledgeable about all the landmarks and sites. He knows where all the deals are if you are looking to buy things. It paid for itself with the amount of money we saved in cab fare alone. I’m glad I got meet Mac and I can’t wait to go back! The people are wonderful, the food is amazing, and overall I made a friend!!! My 1st trip to Bangkok was made very enjoyable, comfortable and memorable by tour guide Khun Ya. He is very knowledgeable in the history of Bangkok! Ya asked me beforehand what type of experience I want in Bangkok (cultural, social, historical, etc.) and he arranged the proper itinerary that suited my want & budget. I got to see some places not listed in “must see and must do” from the internet, so I get to experience Bangkok in the most personal and intimate way without the “time pressure” of the usual tour. He was very professional in dealing with me. I highly recommend Khun Ya as a personal tour guide for your “best” experience of the place. Mac is a wonderful, knowledgeable, endearing guide. He was very professional and did everything to make our stay in Bangkok a truly memorable one. My partner and I are very lucky to have found him. 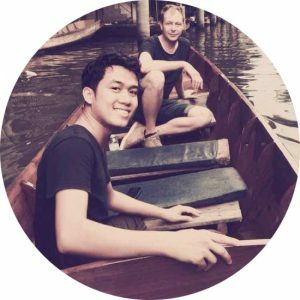 I certainly recommend him to anyone who wants to get an insider’s glimpse of Bangkok. Mac is also very good at eliminating many of Bangkok’s hassles through his attention to detail and willingness to do his utmost. Also a special thanks to Ya who not only introduced us to Mac but was also a veritable goldmine of information throughout our trip through Thailand. I very much hope I will have an opportunity to use their services again and unconditionally recommend them to you. Hiring Ya turned out to be a brilliant introduction to Bangkok. I saw more in few days with him than I could have possibly seen on my own. I can’t recommend him enough! Mac was a really great guide for my Bangkok trip last week. He was very polite and respectful of my requests and seems to always have my best interests at heart. It was a really great experience with Mac being my guide as he was able to customise the tours according to the places I would like to go to and also made good suggestions on some additional places to visit along the way. He also was able to bring to to places for good food, massage and shopping that I would have otherwise been aware if I was on my own in Bangkok. Ya is a wonderful guide with a huge amount of local and historical knowledge that he loves to share with great passion. Ya devised a personalised trip for me based on a few ideas I had for spots off the beaten track. He took me to places I wouldn’t have been able to find without him such as hidden temples, the old city, an authentic Pad Thai shop with tamarind noodles and a walk along some amazing khlongs. Don’t hesitate to book Ya. You’ll feel like you’re exploring the spectacular city of Bangkok with a friend. I’ll contact you when I’m next in Bangkok Ya! Thank you again. Ya has been my guide and companion for the last 4 days and I could not be more happy with his services. He is a very knowledgeable person both in history and in showing the right spots according to my wishes. He has also included me in several outings to dinners, bars and clubbing, all feeling very close to hanging out with a mate. And finally, he has always been available with quick replies whenever I have been in need of some advice. I wholeheartedly recommend Ya as a companion/guide. I’m about to board my plane back to SG!My experience in Bangkok was remarkable indeed. All my 5 senses were satisfied and I am excited for more (talk about emotional empact!) I am grateful for meeting new friends who are also solo travellers like me from US, Costa Rica, and London. Shoutout to Ya, who shared with me a glimpse of Thailand. Please do contact him if you plan to visit Bangkok. Having a local to show you around allows you to experience more than just going around by yourself (hassle free).While I am writing this, I am now planning to come back! But this time, i will also consider exploring the outskirts of Thailand and this is a must in my bucket list. Sawatdee Khrap Bangkok! Mac was the perfect tour guide for me. I rarely start may day with a specific plan, and Mac not only rolled with the punches, but took things that he remembered from days before and incorporated them into our day when it was on the way to where we were already going. Mac has an amazing kindness and innocence that is amazing to see in this day and age. He was kind to my friends, and went out of his way to simply be a nice person. By the end of the trip I did not consider Mac my tour guide, I considered him my friend. Mac was my guide in early May. Before I arrived we had worked out a plan of sights to see, then the heat wave hit. Mac was inventive in finding cooler alternatives and providing lots of details about sights. He was very attentive to his customers. Having been guided by both Guss and Ya last November i can tell you that you will be well attended to, have great service and will get information you will not get from a bus tour. We’ve been under the guidance of Ya for the last few days and we’ve been very happy with him. He feels more like a friend now. 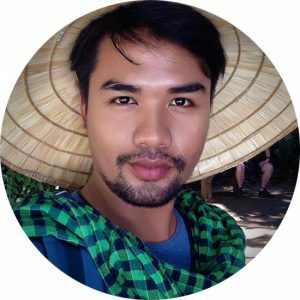 He looks out for our best interest, he is emotionally mature and level, he covers general Thai culture as well as introduces us to the gay scene, recommends how much to tip the boys, and full of energy, but understands when we need down time. Seems to be very honest and I felt lucky to have such a helpful companion the first few days. Ohh is miracle!!! I’m so happy with his guidance. I have been in Bangkok for 5 days 3 of wich I spend with guys from this site. 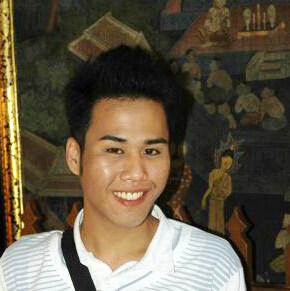 Everyone is cute, smart, and funny, and has rich knowledges of Thai history as well gay scene. Thank you Ya, Ohh and Samit for unforgettable time in Bangkok!!! Visited Bangkok in August for the first time.. Ya was an amazing and reliable guide. Besides being a guide, he gave lots of tips about Bangkok. I would have been totally lost and confused if it was not for Ya. Thanks a million for all your assistance and going the extra mile. Would definately recommend you to anyone coming to Bangkok!! Ya is a perfect guide. Out trip to floating market had been taken for very well by Ya. He gave us a different kind of coice before we went for a trip. Not only that he gave us a story of Thai culture too. And he was also giving us few places that we could spend times in Bangkok. Thank you Ya. I have been to BKK several times and used different guides.On my last trip I had booked a guide that seemed to be really good. How wrong was I. After a day I had to get rid of him. I then had to locate a new guide and thought that this would be impossible at such short notice. I located bkktour.info and made contact with Ya. He made himself available and came to my assistance straight away. He then went on to be my guide for the remainder of my time in BKK. Ya was the most professional and knowledgeable guide that I have ever had in BKK. His understanding of the history and culture and places in Thailand are first class. His English skills are excellent. I have booked to come back to BKK and the first thing I did was to book Ya. If you want a truly unique Thai holiday with a guide who is so trustworthy and honest and knowledgeable do not hesitate to book Ya. I consider him to be one of my best friends and could not recommend anyone better than Ya. I was visiting Bangkok for the first time in December 2012. Unfortunately, I didn’t have much time to see the city. Fortunately, Samit was able to serve as my guide for a day, and that made the day absolutely wonderful. He showed me the “must see” attractions, but also neighborhoods I was interested in and great views of the city from one of the many skyscrapers. It was a long day filled with a wide variety of sites and experiences — all made possible by Samit. It’s hard to imagine getting around Bangkok so easily and efficiently as it was with Samit. But, even more important, Samit was delightful to spend a day with. He’s a wonderful guy in every way. It was like seeing the city with a good and kind friend (who also happens to be an expert on Bangkok and Thailand). 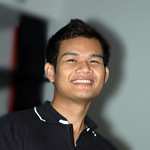 Anyone hiring Samit will have a better experience in Bangkok — and have the pleasure of being with a truly special guy. I know I’ll definitely want to see Samit again when I return to Bangkok. I’m glad that I called Ya for my first visit to Bangkok. Ya is a trustworthy individual, an effective communicator, and an extremely knowledgeable tourguide. He did an outstanding job and accommodated all my requests, including two trips outside the city. His English language skills are excellent and his knowledge of the culture and history of Thailand shows in every aspect of the trip. Whether in the morning or at night, walking through the flower market or visiting the temples, Ya provided in great detail explanations that helped me gain a better understanding of Thai culture. Moreover, when I went by myself to Chiang Mai, Ya took the time to offer advice and get in touch to see how I was doing in that city. I recommend him wholeheartedly and without any reservation. 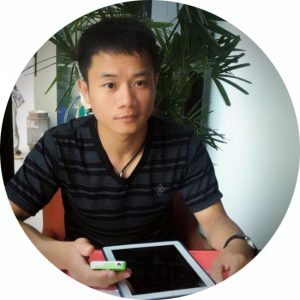 I am confident that you will find in him the precise characteristics that you seek when selecting the best individual tour guide when visiting Bangkok and Thailand in general. I am so happy I contacted Ya to show me Thailand. I could never have had the extrordinary vacation I had without his help, guidance, and patience. As a first time visitor to Thailand, I really needed someone to help me understand the culture, the people and the history. Ya is an exceptional and highly professional guide. He is a pleasure to be with and made my trip a real joy. I remain very grateful to him for all his help. If you are going to Thailand, call him!! It was such an extraordinary experience! Thank you Ya for your patience and attention! It is much more useful and flexible than standard organized tours. Had a awsome time, Bangkok by night was really pretty. A well organised tour. I would definately go again. Samit‘s tour was very flexible and great for seeing the real Thailand. I felt less like a tourist and more like a local! The temples, river market and local food were ALL my favorite. This tour made my first trip to Thailand GREAT! Can’t wait to come back. Thank you Samit and Ya!!!! I would definitely recommend to all my friends instead of taking organized tour to get in touch with Samit and to enjoy the most of the day that beautiful Thailand can offer you. Thank you very much, Samit and a lot of success in your life! Organising a private tour guide gave me a lot of freedom to do what I wanted and Mr Samit was extremely helpful – even going out of his way to arrange evening shows and thai boxing for me, and show me good places to eat. I would highly recommend arranging it for at least part of your trip there. This is a great tour if you only have a short time in Bangkok. We had Mr. Likit who was very prompt for the tour, such dedication that he was at our hotel several hours beforehand. The three locations that we saw were sufficient to get an overview of the history and culture of Thailand, Likit was very knowledgeable and made the tour very interesting. We didn’t really feel we needed to see the flower markets, but was actually very interesting, and visually beautiful. 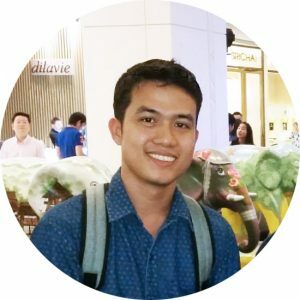 I am in the hospitality business and I can tell you first hand Samit is the ultimate “host” in Bangkok… my only regret is we did not have more time to spend with him as he is full of great information on the history and culture of Thailand and he is funny, warm and very personable! I suggest to everyone this service. Boys do their best to fulfill demands of client. The Bangkok tour was great and it was good to see the Reclining Buddha, Grand Palace and Emerald Buddha. The next day we had a full day tour out to Ayutthaya which was great, we even had an elephant ride. It was great to see the history of the world heritage site and ruined city. Samit was a great guide, so thank you Samit for taking us and making our trip to Bangkok so memorable. Would definitely recommend Samit and his fellow guides. Thank you Samit for organising everything for us. Guys! You made excellent job! My visit to BKK was smooth and funny! Kisses! Hope to see you both soon again! Dear Samit! I will never forget your smile 🙂 Many tnx and have a nice Thai New Year! Your M.B. I got unbelievable experiences in Bangkok with support of those nice and extremely friendly guys! Thank you a lot! We booked the 2 days tour of Bangkok with Samit almost a month in advance. Even though not everything went as planned, Samit handled all our issues professionally and solved them out promptly. Absolutely the best pre-trip information of all tour guides we came in contact with: we got detailed time plan of our trip, reconfirmation a day before and a short intro to Thai culinary culture with tips on recommended places to eat, basing on our hotel’s location (really good, tried most of them out!) and dress codes. I’m very impressed about Tai‘s serveice and quality of tour. First of all tour starts at pointed time 🙂 It is very unknown in Asia. Second one – tour was heavy filled with info and it wasn’t boreing coz Tai‘s stories are full of jokes. Thx Tai! Excellent guide, excellent tour. Especially if you have limited time for Bangkok: you’ll see all main city places. Thank you! Brilliant views from river, glorious places… MUST see! Interesting, funny, very good value for very small money. I will recommend Tai and his tours to my friends. He and his tour – both are super! I think it is best way to watch Bangkok from river at hot summer time. What do you think about your tour?